These are a few Pics of Bart and Friends, such as Flash, Max Mercury, etc. I'll add em as I see em! Enjoy! 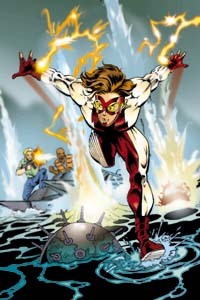 A pic of Bart's Grandfather, the 2nd Flash!